What is a joint venture and what specifically are MLM Joint Ventures? Here are two definitions of “joint venture” that I found online. A commercial enterprise undertaken jointly by two or more parties that otherwise retain their distinct identities. A business arrangement in which two or more parties agree to pool their resources for the purpose of accomplishing a specific task. This task can be a new project or any other business activity. In a joint venture (JV), each of the participants is responsible for profits, losses and costs associated with it. However, the venture is its own entity, separate and apart from the participants’ other business interests. 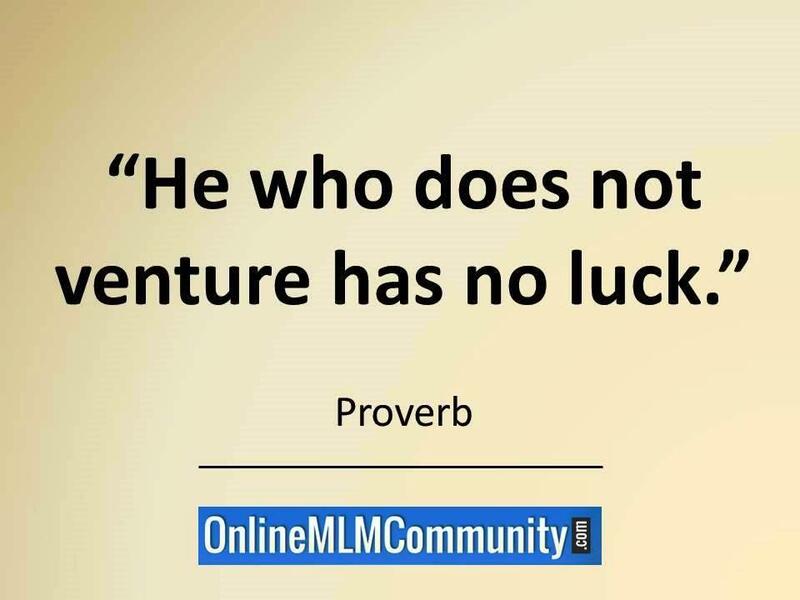 MLM Joint Ventures are when two or more people to work together to do something to promote their network marketing businesses. How do Joint Ventures Work? A coffee shop owner gives away a free 20% off coupon to his customers for the local “office supply store” after they make a purchase at the coffee shop. In return, the local office supply store gives a 20% off coupon to their customers promoting the local coffee shop. A local car mechanic gives a $2 off coupon promoting a local car wash. In return, the local car wash gives a 10% discount coupon promoting the local mechanic. I could go on and on here, but the moral of the story is that each company leverages their existing current customer base to promote a non-competing, but similar business. Here are some simple tips to help you achieve success with joint ventures. You must make sure the joint venture benefits BOTH parties involved. It can’t be all about you. Make sure both parties benefit and are happy. Make sure you draw up a simple agreement between the two businesses so both parties know what is expected and no one is unpleasantly surprised. This protects both parties legally and will resolve most potential problems before they ever even happen. Whenever possible, keep things simple. You don’t need to spend much money to make a joint venture successful. Also, start small by doing a simple test (like 100 coupons). You must have a way to track your results with your joint venture. The best thing you can do is print off a coupon and give it to the other company. Have them tell their customers they must present the coupon when they redeem their discount with you. That way you know exactly how many people were sent to you from the joint venture. If you are just getting started with joint ventures, here are some things you should do. I also suggest you start small and slowly scale your way up to larger joint ventures, once you have learned the ropes and know what you are doing. Because my blog is about network marketing, I thought it would make sense to give you some ideas about how could use joint ventures to grow your network marketing business. Here are just a few things that come to mind. # 1 You could donate a gift basket to a local charity. In agreement of taking your items, they could briefly talk about you and your business for 30 seconds at the live event, or hand out a business card of yours to all attendees. # 2 You could team up with a network marketer in a different company. For instance, if you specialize in weight loss products and they specialize in cell phones, you could exchange leads that did not convert. Maybe each of you purchased a list of 1,000 names, and contacted all of them. At this point, you could swap lists and see if you might convert leads from the other person’s list. # 3 You could rent a small booth or bulletin board at a salon or local business to advertise your opportunity and products. In exchange for getting a discounted rate, you could hand out brochures and information about the salon to everyone you talk with. # 4 You could split the cost of a direct mail campaign with someone in a different MLM Company than you. Each person could insert their postcard in the same envelope and the two of you split the shipping costs. This would save both of you a significant amount of money. Folks, these are just the first four things that came to mind without me putting too much thought into it. I encourage you sit down for an hour in a quiet space and brainstorm 10-20 potential things you could do to promote your network marketing business with a joint venture. In summary, joint ventures are when two people or two or more businesses work together to get more customers and make more sales. This is an inexpensive and very effective way to grow your business. All you have to do is think outside of the box and follow the advice mentioned in this post and you will be well on your way. What are your thoughts? 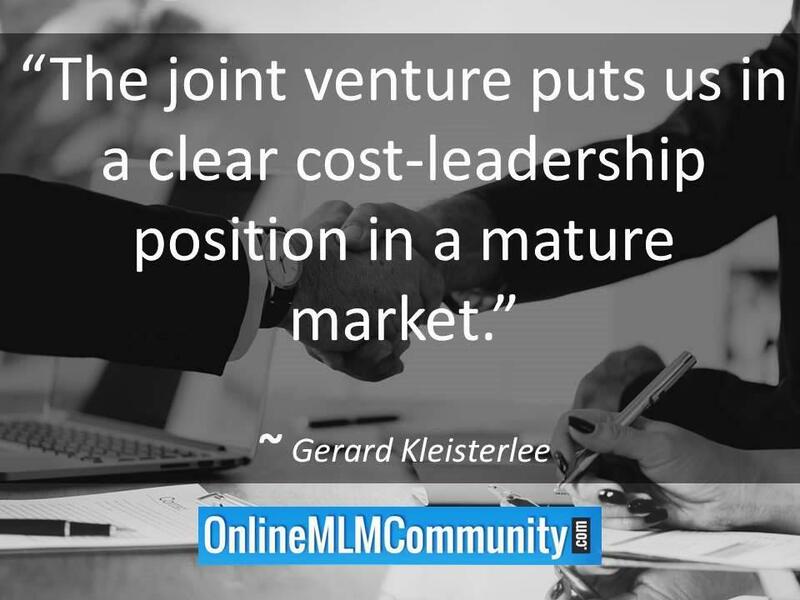 How do you use MLM Joint Ventures to grow your business? Leave a comment below to let me know what you think. I look forward to hearing from you.